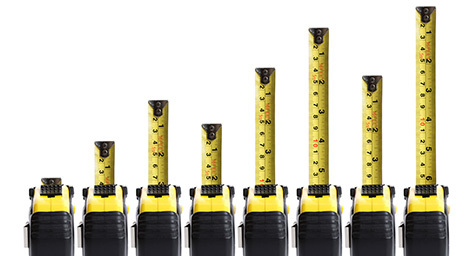 Is your inbound marketing program performing properly? The only way to know is to measure its results. Only then can you optimize and maximize your efforts. While there are many performance indicators, Square2Marketing.com recommended these marketing metrics to ensure that your inbound marketing is bound for success. Conversion Rate: This provides a comprehensive view of how your inbound marketing is turning visitors into leads. A conversion rate of between 1% and 3% is standard for most websites, so compare your rate to that rule. Leads: People who express an interest in your business are leads, whether they’re ready to buy or just consider your company a choice. While many factors affect your lead generation, you should increase your leads by approximately 15% each month. Leads by Source: The same thinking applies to leads. You need to know where your leads are coming from and then make adjustments accordingly. If you’re getting leads from organic search but not social media, you should make changes to your social content marketing strategy to punch up those numbers. Sales Opportunities: Leads may be a goal, but sales opportunities are golden. These are the prospects at the bottom of the funnel that are interested in buying today. They are a strong indicator of whether your inbound marketing efforts are advancing people through the funnel. Close Rate: This metric shows your effectiveness at turning sales opportunities into real revenue. Website Visitors: Keeping count of the number of visitors to your site allows you to gauge the effectiveness of your SEO efforts. Expect a 10% month-over-month improvement rate. Visitors by Source: Once you know the number of visitors to your website, you need to where they came from so you can see which of your marketing efforts is driving traffic your way. Compare the volume from organic search, referral sites, social media, email marketing, etc. Landing Page Conversion Rate: With a savvy inbound marketing strategy, you ought to have 50 or 60 landing pages with a 30% conversion rate, yet that rate can rise to 60% on top landing pages. Average Time on Site: This time will tell whether your content is engaging and interesting visitors enough to keep them on your website. Plus, it’s one of Google’s main metrics for ranking sites. Inbound Links: Realize that the number of links you get back to your website from other respected sites directly affects your search ranking. You want to spread the word and get people talking about your company and content. And these inbound links show whether people are buzzing about your business. Social Reach: This is the formal term for the number of followers your company has on social media sites. The more followers you have, the more opportunities you have to distribute your content and drive traffic to your website. Social Shares: How often people shared your content reveals how well they liked it. That’s why it’s important to track your number of shares on all of your social media sites. Blog Views: By counting the number of readers who viewed each blog post, you can see which kinds of content are most engaging and effective. Base your upcoming content on the most popular posts. Blog Subscribers: The more people requesting to receive and read your blog, the more opportunities you have to share your company’s views and news. Email Open Rates: Not every prospect is prepared to purchase today, so email marketing nurtures these prospects until they’re ready to buy. To increase your overall open rate, create compelling and concise subject lines that pique peoples’ interest. Email Click-Through Rates: Once the email is opened, you want the content to be persuasive and powerful enough to drive readers to your website. Closely monitor this metric to tell whether your content is effective or it’s time to tweak it. Net New Email Subscribers: This metric provides a view of your total number of new email subscribers, minus the subscribers you have lost. Your aim is to have a positive number every week. CTA Conversion Rates: CTA buttons play a role in lead generation, yet some perform better than others. Keep track of the ones with the highest conversion rates, then use these to revamp the underperformers. Keyword Rankings: Keywords affect the search ranking of your website, which determines how well it’s found and how much traffic comes to your site. That’s why you need to know which words you’re ranking for, along with which words needing some work. Track your keyword rankings weekly, then make sure your content corresponds to these keywords. Competitive Metrics: It’s important know where your company stands, but just as vital to know your competitors’ standings. Check this metric regularly to stay aware and ahead of your rivals’ rankings. Keep track of the latest in inbound marketing. Contact MDG Advertising today at 561-338-7797 or visit mdgadvertising.com.